When you plan your holiday, the most important and exciting thing to do is to choose your dream destination. Next, you schedule some time off or buy the cheapest plane tickets you can find and adjust your plans accordingly. At this point, you should already know what kind of luggage you are going to take for your trip – a big suitcase, a small briefcase or maybe a backpack? 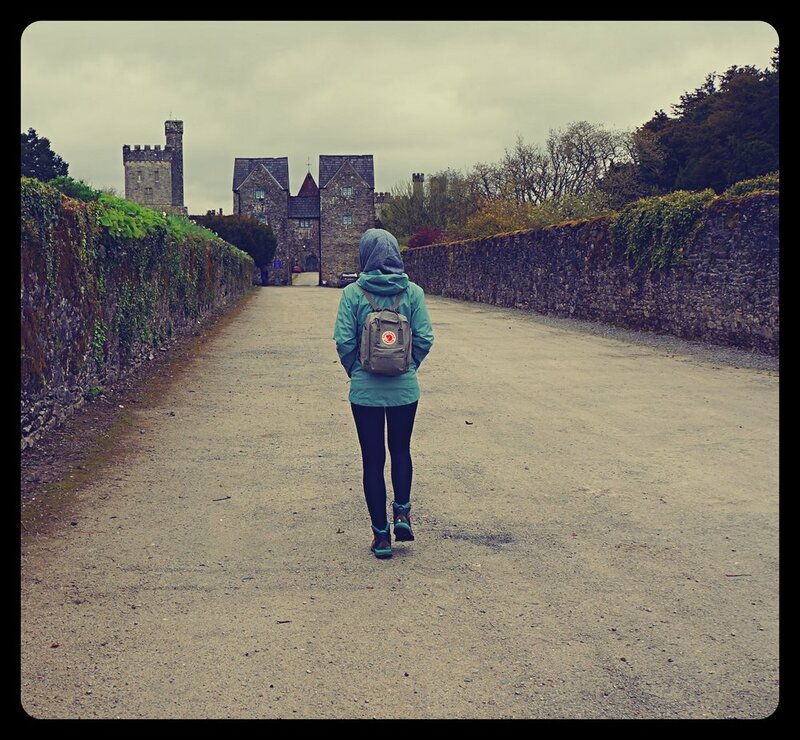 If your budget is tight, or you simply don’t want to carry around too much of your belongings, a trekking backpack that works as hand-luggage is the best option possible, no matter if you are going to Ireland, or elsewhere! But how to pack for a week to a country with such a capricious weather? In fact, it is easier than you think! 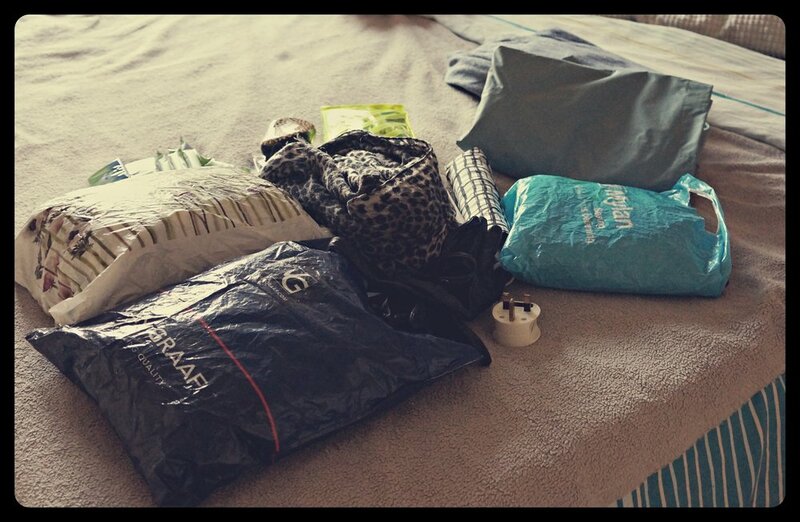 Believe or not, but all you need are three sets of clothes (one of them you will be already wearing on the plane! ), few practical items and some electronic devices (to capture all the beauty you are going to immerse). Once your travel budget is planned (to find out accommodation, car rental and food prices in Ireland go to my budget list HERE), don’t forget that you may need to buy some clothes or necessary equipment. Therefore, if you are unsure what you may need, or you actually hate packing and would love to let it get done itself, check out my packing list below. During my travel to Ireland, I used all of the listed items. My backpack was full but there was still some space for souvenirs and the weight was just right (9.8 kg). I know that packing can be a drag, so let’s get over it as fast as possible! Trekking boots – over the ankle shoes are great for outdoor exploration, make sure they are waterproof, so you can still walk in rain and mud. I wore the North Face Hedgehog Trek boots, which are great outdoors, though soft enough to wear on a plane or walk around in the city. Quick-drying pants or leggings – choose the ones in dark colors, so when you sit on the ground, they don’t get dirty easily; you can wash them in the evening and they will be dry in the morning! Knee-length socks or tights – it can get cold in Ireland, so if you are not travelling in the middle of August, make sure to pack a pair! Quick-drying longsleeve – choose the breathable one, so you won’t sweat too much. Breathable t-shirt – you can wear it instead of a longsleeve if it is warm enough. Black top – you can wear it underneath a longsleeve, if it gets very cold, or wear it by itself if it’s really warm. Warm hoodie – this is a must – it shall protect you from the cold and the wind. I wore oversized one with big hoodie and a collar I could use instead of scarf and it was a win! Light hoodie – it’s great for warmer days or treks in the woods or other places shielded from wind – why not wearing it on the plane? Waterproof jacket – this is another must. It rains every other day in Ireland, so it is more than likely you will get wet – if you wonder what to spend your money on first, I advise you get a quality waterproof jacket. I wore the North Face Resolve2 , which has never letted me down. Sports bra – it is comfy and practical. Buff tubular – it’s light and protects from cold and wind. Hat – autumn / winter hat is great from September till June, in the summer take a headband. Gloves – light gloves will warm up your hands and help you with climbing. Sneakers or trainers – they are comfy enough to walk long distances but you can choose from some fancy models to look more chic. Jeans – perfect for any weather, take your favorite pair to feel good in it! Comfy pants – perfect for walking around in hostels or during long travels. Flip-flops – ideal for using in the shower or on the beach (if it’s warm enough). Underwear – I took three pairs of each: knickers and socks and I washed them on the way. Dress – I took one summer dress and one warmer, casual one. Dresses usually take up less space than two-pieces and they weigh less! Fancy jacket or coat – to not get cold at night, but still look great! Small backpack (35 x 20 x 20) – take it on a plane instead of a purse, I took Kanken Mini Fjallraven, which is equally great outdoors and in the city. TIP: Don’t worry about shower gel, toothpaste, hair shampoo, etc. These are always provided by B&B host, guesthouses, hotels and most hostels (you can also buy them in Ireland for reasonable price). If you are unsure about the hair-dryer, ask when booking a room – it is available in most places. Plasters – different sizes, as well as the ones for blisters. Nut bars – if you get hungry on a plane or at the airport. Can you think of any other useful items I haven’t listed? Is there anything on the list you would never pack?